There are plenty of 2 for 1 vouchers, promotions and even free ticket offers running for LEGOLAND Windsor each theme park season. Follow our full round up deals & discounts running plus Tips To Beat The Queues at LEGOLAND Windsor to help you save both time & money. Save more than £15pp when you book online at LEGOLAND Windsor with tickets priced from just £29pp. You can save more than £15pp off walk-up prices if you book in advance that also allows you to side step the queues at the ticket kiosks. We tend to find the best prices are available to those that can plan 7+ days ahead that also comes with guaranteed entry. TO BOOK GO TO LEGOLAND Windsor Tickets from £29pp. Here’s a chance to secure 2 FREE tickets to LEGOLAND Windsor with the Sun for those that have flexibility with when they visit. Whilst you cannot choose the actual date of your visit, if you follow the application process to the letter you’re in with the chance of enjoying complimentary entry to the park, rides & attractions. Keep checking back for further details on this free ticket offer. FOLLOW Our LEGOLAND Windsor Guide packed with tips & tricks to beat the queues at this popular visitor attraction! Pick up a ticket to LEGOLAND Windsor plus a meal deal from just £35.85pp. This promotion includes 1 day entry to the park plus either a Farmer Joe’s Chicken meal or Fish & Chips meal deal with additional savings on child tickets available. This meal deal gives you up to 50% off the package walk up prices so can offer value for money. Kellogg’s 2 for 1 vouchers remain valid for use at LEGOLAND Windsor until 30 June 2020, (restriction on dates). Good to know that vouchers can only be used against full on-the-gate price tickets, rather than tickets purchased online, so savings are perhaps not as substantial as initially thought. More details available at LEGOLAND Windsor 2 for 1 Voucher. Stay overnight at the LEGOLAND Resort Hotels & take advantage of a FREE second day at the park, free parking plus early access to select rides & attractions! This early access perk offers you the chance to enjoy 30 minutes of exclusive access to select rides & attractions before the park opens to the public. Promotions vary throughout the year but look out for popular Kids Go Free promotions. TO BOOK GO TO LEGOLAND Windsor Short Break Packages. 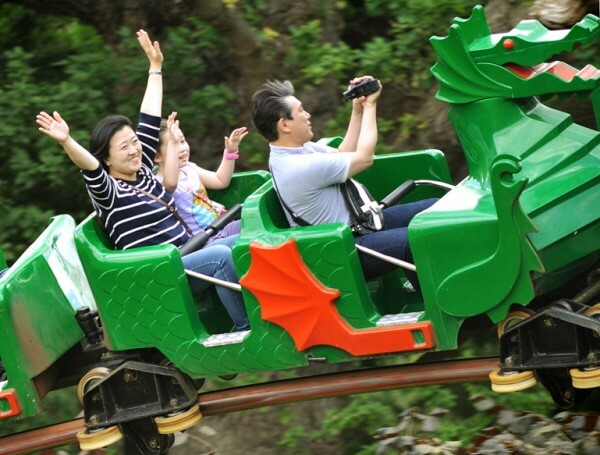 Save up to 38% off walk up prices when you book in advance at LEGOLAND Windsor! Not only can you make substantial savings but this options also helps you bypass the queues at the ticket kiosks too. We’ve often found that the best online savings can be found for those that plan ahead with tickets priced from just £29pp. TO BOOK GO TO LEGOLAND Windsor Tickets. Tesco shoppers can take advantage of a range of clubcard voucher offers that run during the season. Slash entry costs to LEGOLAND Windsor with 1 day tickets or invest in either a standard Merlin Pass or a LEGOLAND Windsor Annual Pass. With this offer you now to ensure that you book tickets online in advance. During off peak times you can often pick up a joint adult and child ticket, (3-5 years), for around £25. This can offer a quieter experience for young families with options available for 1 adult with 2 or 3 young children. We’ll let you know if this offer runs again later in the season. TO BOOK GO TO LEGOLAND Windsor Groups. Often the best deals to be found are when booking online at LEGOLAND Windsor that saves up to £15pp when you book 7 days in advance. Online tickets includes entry to the all the normal rides & attractions at the park and guarantees entry on popular dates at the park. Tickets purchased online can also help you to bypass the queues at the ticket kiosks. 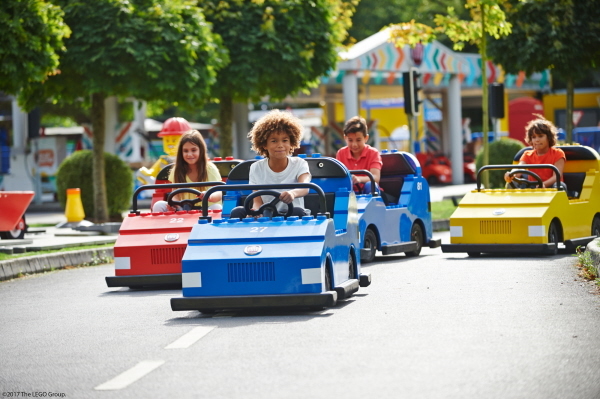 To book tickets go to LEGOLAND WINDSOR – save more than £15pp! This entry was posted on Tuesday, February 5th, 2019 at 10:41 am	and is filed under Legoland Windsor, South East. You can follow any responses to this entry through the RSS 2.0 feed. You can leave a response, or trackback from your own site. I’m planning to come with my two children. I have an adults go free token. can I pay for one child, use the token for me and then use tesco clubcard vouchers for the other child? Hi Sam, the Kellogg’s 2 for 1 voucher allows 1 free adult when an adult or child full on-the-gate price ticket is purchased. The conditions for the Kellogg’s adults go free vouchers also state ‘Voucher cannot be used in-conjunction with any other offer or concession (e.g. senior citizens, family tickets), reward/loyalty program, pre-purchased tickets, Combination tickets, 2 Day Pass, Annual Pass, online tickets, Q-bot or Fastrack tickets, rail inclusive offers, on secondary ticketed events, hotel events or concerts or for Group/advance bookings’. However you are looking to purchase a full price ticket to make use of the 2 for 1 voucher. As a separate transaction it’s worth seeing if you can use the tesco clubcard voucher for the second child? Hi Jade, you can currently pick up 2 for 1 vouchers for LEGOLAND Windsor on promotional packets of Kellogg’s cereals as well as promotional Cadbury chocolate products. With the Kellogg’s voucher you can book online when you pre-pay the full on the gate price ticket or simply take a 2 for 1 voucher to the ticket booths at LEGOLAND on the day of your visit, (keep an eye out for excluded dates). We are using the kellogs grown up goes free for our two daughters and myself and my husband, however we have twins who we are taking for their 3rd birthday. is there any offers we can use to get the price down as resent paying £90 for two kids who will probably fall asleep anyway. Hi, can I use tesco club card days out vouchers alongside the 2 for 1 Kellogg’s voucher for entry to legoland Windsor for 2 of us? Hi there.. I gt my legoland tickets from eBay as I bid for them for 2nd August. . Bein told by my friend they are not valid.. a bit worried nw.. can someone suggest anything as the tickets are from the sun news paper.??? Will I be able to use these on the morning of the 6th —we have already booked a hotel for all of us about 4 miles away. If we can –can we get the tickets from the gate the night before ? This will save us queuing up won’t it ? I do hope you can help us —It will be a special birthday to have everyone there! Could you please sent me a 2for1 voucher because my cousin is over from New Zealand please.. Tony. Hi Tony, unfortunately we do not hold any 2 for 1 vouchers for Legoland Windsor, (topdogdays just let you know where all the deals are). However 2 for 1 vouchers are widely available on promotional packets of Kellogg’s cereals & breakfast bars that are valid at Legoland Windsor. I am looking for the cheapest route for a family of 4 adults and 2 children aged 5 and 6. Hi Gail, you could make use of 3 adults go free vouchers, (available on promotional packets of Kellogg’s cereals & breakfast bars) as each voucher offers 1 free adult entry when accompanied by a full paying adult or child. Only one voucher can be used per person & per transaction so you you will need 3 separate vouchers and may need to split into 2’s at the ticket booths. Alternatively, check out the Legoland Windsor online prices as there is currently a family offer running during April that offers up to a 30% discount off standard prices if you can book at least 2 days in advance. I have 2 kids go free tickets and also £40 voucher from nector point how will this work as we are 2 adults and 2 kids. Hi, i have 2 adults & 3 kids. 2 is under 10. 1 is under 3. I have one token from crunchy nuts. Plz tell me now how will be cheaper for me. Thanks. Hi Siddiqui, I assuming that is a Grown Ups Go Free vouchers for Kelloggs Crunchy Nut? That offer will secure one adult free entry when accompanied by a full paying adult or child. Worth having 2 vouchers with you as this offer works on a per person/per transaction basis. Under 3’s go free at Legoland Windsor. I have twins, so I like to take advantage of the 2 for 1 voucher. Also, do I qualify for a senior discount and still able to use the 2 for 1 voucher. I am only a few months shy of being 65. Please provide a telephone number so I can arrange details concerning payments. Hi Frances, you can pick up a senior discounted ticket at Legoland Windsor from those 60 years or over. 2 for 1 vouchers generally provide 1 free entry when accompanied by a full paying person paying the on-the-gate ticket price and cannot take advantage of any other offers or online discounts. Each 2 for 1 voucher has slightly differing terms & conditions to best checking the fine print to avoid disappointment. hello i have got 2 kids and i have adult go free with a full paying child. so i have got 2 adult ticket . i would like to know where to redeem my ticket as i intend to get a day pas for the kisd to legoland please. Thank you in anticipation of your response. Hi Debbi, you will need to redeem your vouchers on the day of your visit to Legoland Windsor. 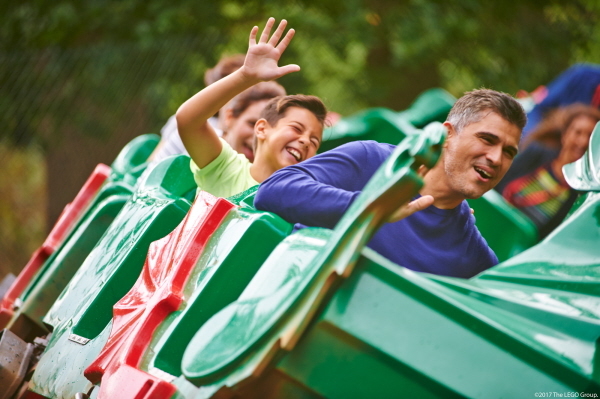 Be aware that you can only use one voucher per transaction so you will need to split into 2’s at the ticket kiosks and for each voucher to be valid you will need to be accompanied by a full paying child that cannot take advantage of a discounted ticket, online offer or any other concessionary deal. This may sound like a silly question but – i have 2 for 1 kellogs vouchers which i intend to use at Legoland Windsor. Do i just hand them in at the kiosk when i pay and get the discount then???? Hi Jeannie, yes just hand your 2 for 1 voucher at the ticket booth at Legoland Windsor on the day of your visit. You will need to be accompanied by a full paying person, (usually the terms & conditions state this must be a full paying adult). The full paying person cannot take advantage of any online discounts, concessions or offers but must pay the full on the gate price for a ticket to Legoland Windsor. Just check your 2 for 1 voucher for any restrictions on dates. Generally 2 for 1 vouchers also stipulate that you can only use one voucher per person & per transaction so if you are going as a group, remember to split into 2’s at the ticket kiosk. Hailey, £12.50 worth of Tesco clubcard vouchers will gain you 1 Legoland token that is valid for entry for one person only. Whilst under 3’s go free, you will need 3 tokens to gain the family entry to the park. Unfortunately, there are no family entry tokens for Legoland Windsor with Tesco clubcard vouchers. Hi Patricia, if you are travelling by train to Warwick Castle, you could try this 2 for 1 for Warwick Castle. Alternatively, once you are over in the UK head to a supermarket, (Tesco, Sainsburys, Morrisons) & pick up a promotional pack of Kellogg’s cereal that are currently running a 2 for 1 voucher or a Grown Ups Go Free voucher for Warwick Castle….these promotional packs will still be in the shops during you visit. My family and I (two adults and three children aged 6, 10 and 11) want to visit Legoland Windsor and Madamme Tussauds. We would like to know if it would be possible to do both of these in one trip from Leeds, West Yorkshire , where we live? Kevin, it is possible if you a planning a trip down over a few days but couldn’t be achieved in one day. You will need a full day at Legoland Windsor, (I would suggest getting there a good 30/40 mins before the gates open), to get the most of this attraction. Geographically the attractions are quite far apart too with Madame Tussauds located in central London & Legoland out in Windsor. I think you’ll be aware that both attractions are covered under a Merlin Pass, (there is currently a 25% discount available on Merlin Passes) or available under 2 for 1 vouchers. I am planning to go to legoland this friday coming I got 2 2for1 tesco vouchers my party is 2 adults and 2 kids I wonder if I could use both vouchers and just pay for the kids entry, could you let me know if this is possible? Alejandra, best to check the terms & conditions on the back of your 2 for 1 voucher as they can differ. In general terms a 2 for 1 allows one free entry when accompanied by one full paying adult entrance…many vouchers state that it is one voucher per transaction, so can be worth splitting into two’s at the tickets kiosk. We would like 2 Adult ( Senior Citizens if applicable) and 2 Children’s tickets as the 2 for 1 promotion advertised. Please send precise details of how we can pay online using Credit Card. Please can you respond quickly as we plan to go to Legoland this Monday 2nd April . Hi Alan & Judith, Topdogdays simply signposts to the current deals & promotions running for top visitor attractions rather than running the actually promotions. Best accessing the Argos competition directly that gives you a chance to win free tickets or gain 2 for 1 vouchers for merlin attractions. You will then need to take the vouchers to the ticket kiosk on the day of your visit, (there are restriction on dates on all 2 for 1 voucher so ensure you can use them on 2 April). I am looking to go to legoland in may 2012, i want to use a 2 for 1 voucher for the 1 adult and 1 child and for the remaining adult and child the tesco clubcard vouchers, but can i pay for 2 adults and 1 child in clubcard vouchers but still use the 2 for 1 on the other child? Please help!!! You’ll need to read the terms & conditions on the back of the voucher carefully, (there are so many out there!) Generally speaking a 2 for 1 voucher allows the voucher holder, (this can be a child) free entry when accompanied by a full paying adult…so as long as you are paying full price for 1 adult, (not clubcard vouchers), you can gain free entry for a child. You can then use clubcard vouchers, (as long as you have already redemed these for Tesco reward tokens already), as payment for entry for the rest of your party….you could always split into two groups at the ticket kiosks if they are funny about it. Hello. I wonder if anyone knows please: I want to take 2 seniors, 1 student, 1 4 yr old to Legoland on Saturday. I plan to buy 2 full adult tickets and use 2x2for1 vouchers for the other two tickets. Does anyone know if I can use nectar points for the remaining 2 full adult tickets? Or any other suggestions to keep the price down? Generally 2 for 1 Legoland vouchers work when you purchase a full paying adult ticket and receive one free entry and do not allow you to take advantage of any other concessary rates with these deals. For any additional people, you can use nectar pints, every 500 points will give you a £5 reduction off Legoland tickets. I have a two for one tocken. Can I buy a ticket on line and still use the two for one at the gate? Thanks for the query. Generally, 2 for 1 vouchers require you to purchase a full priced ticket from the tickets booths on the day to receive your free entry. As tickets online are generally discounted, this is not an option if you wish to use a 2 for 1 voucher. Best to check the small print on the voucher for the exact terms and conditions. Hi there, just bought 3 of the special skips promotional multi bags which have the half price offer on them and include 2 vouchers per pack. I am somewhat confused, however, by the “only one ticket per person/transaction” stipulation. I will be in a party of 2 adults and 3 children over 3 but under 10 and would like to know if I can use 1 voucher per person (ie. 5 vouchers) at one time and pay altogether for them, or whether I will have to do five separate transactions at the gate? I do hope this makes sense, but noone I have asked seems to know the answer! If I have to do separate payments for each ticket I don’t mind, but I am wondering if they will *let* me just buy 1 child’s ticket at a time (even though it’s obvious they are part of an adult supervised group). I would have thought that if you have a half price voucher that offers ‘the holder’ a 50% discount but stipulate a one ticket per transaction condition, it would go against the grain to then refuse to honour the voucher because you cannot sell individual children’s tickets. Do let me know how you get on this one plse. ‘We went to Legoland Windsor yesterday and had a great but exhausting day. With regards to the vouchers I went with one voucher per person to the gate to be told that I only needed one voucher for up to 6 people! Obviously this isn’t at all clear on the terms of the original offer so I was happily able to distribute my spare vouchers to other people in the queue! Thanks for that Karen, good to know. Looks like you made a few people happy in the Legoland queue too! Four of us are going to Legoland next week – 3 adults and 1 child, would we be able to use two 2 for 1 Co-op vouchers and only pay for two adults? In other words, can a child go free if accompanied by a full-paying adult, or does it have to be two adults? Thanks ever so much for your advice, have been trying to find the answer for an hour now! Children under 3 go free at Legoland, Windsor too. Be aware of the excluded dates for this voucher at Legoland, Windsor are 16/07/11, 10-11/09/11, 22-31/10/11, 05/11/11. Hi Can you pease suggest me which option is best for i wanted to go tomorrow with my family 2 adult and 1 child?? Probably the best way to go would be a 2 for 1 voucher for Legoland that allow 1 adult free entry to the park. Children under 3 are free of charge & children aged 3 -12 will incur the child price ticket. Have a great day.